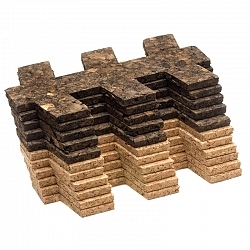 Interlocking cork trivets come together to form fashion for your table. 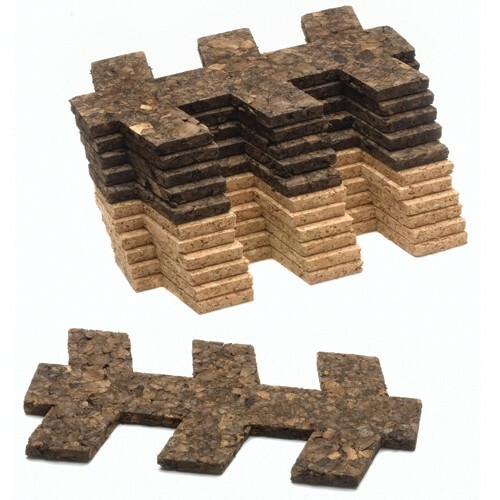 Each set consists of six tan modules and six chocolate modules covering approximately one square foot (900 sq cm). 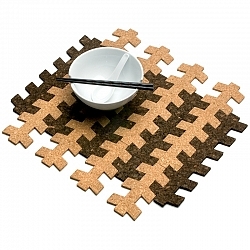 Inspired by patterns in textile design, the trivets can be transformed into stunning table runners, protective table arrangements, place mats or even mouse pads. 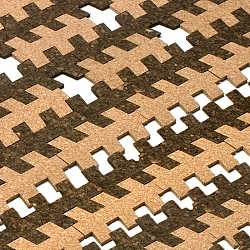 Cover surfaces small and large with additional sets. Dimensions: 6in. × 6in. × 6in.